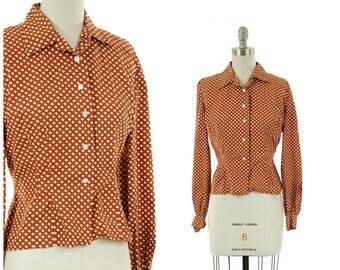 Vintage homemade 1950s western wear blouse is perfect for pairing with denim or wool whipcord! 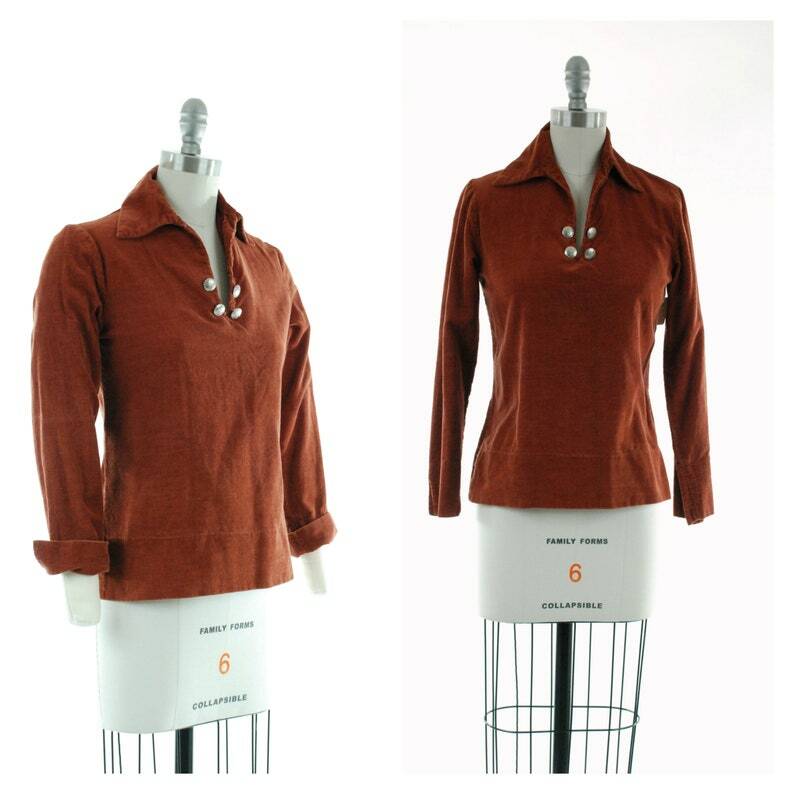 Made of brown cotton corduroy, it's an easy wearing pull over style with wide collar and v neckline. Four southerwest buttons embellish the opening of the neck. This is absolutely intended to be paired with a bold, wide belt. This pulls over, and has no closures. This top is clean and ready to wear! There is a line of soil inside the folded edge of the cuff that didn't clean away. Vintage 1940s Blouse - Ideal 40s Top in Chocolate Brown Cotton by Tuxedo - "A New One if It Fades"